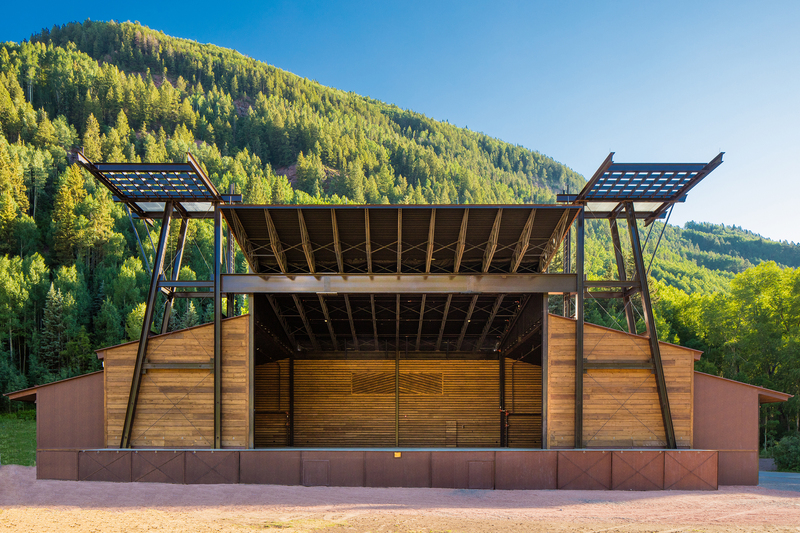 The Telluride Stage in Town Park has been a summer festival venue since 1973, one year after Telluride Ski Resort opened. 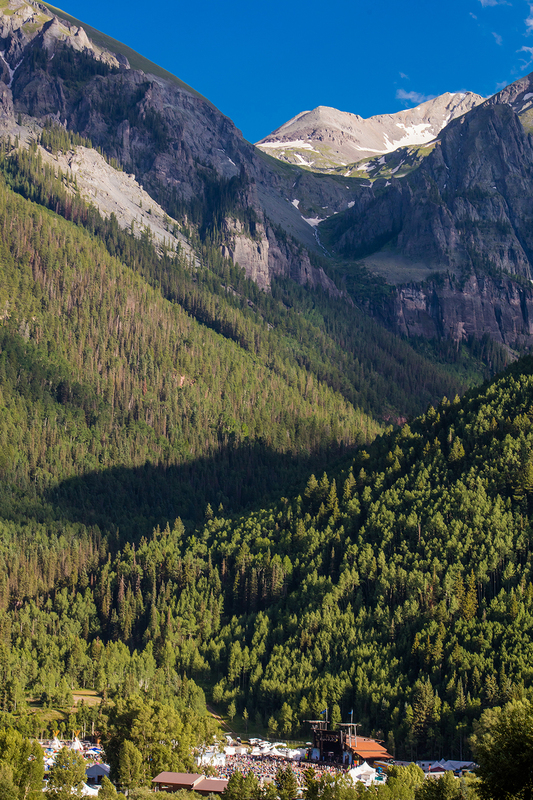 Telluride and the Stage are host to a multitude of summer events including the Telluride Bluegrass Festival, Blues and Brews, Jazz Festival, Shakespeare in the Park, Mountain Film, Pretty Lights Electronica Festival, and the Ride Festival. 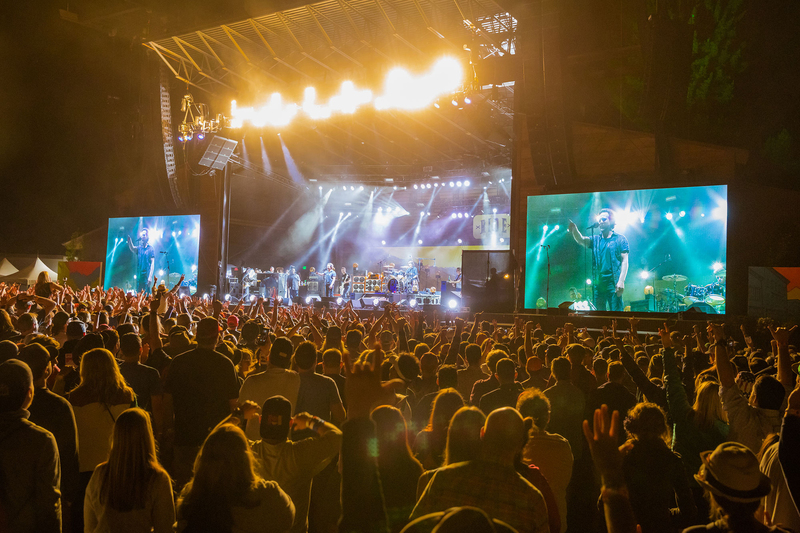 In 2008, CCA produced a master plan for Town Park, which included overall park improvements, an expanded pool facility, ballpark bleacher stands, the concept design for replacement of the outgrown 1992 stage facility, and the development of an event pavilion with catering kitchen and public restrooms. 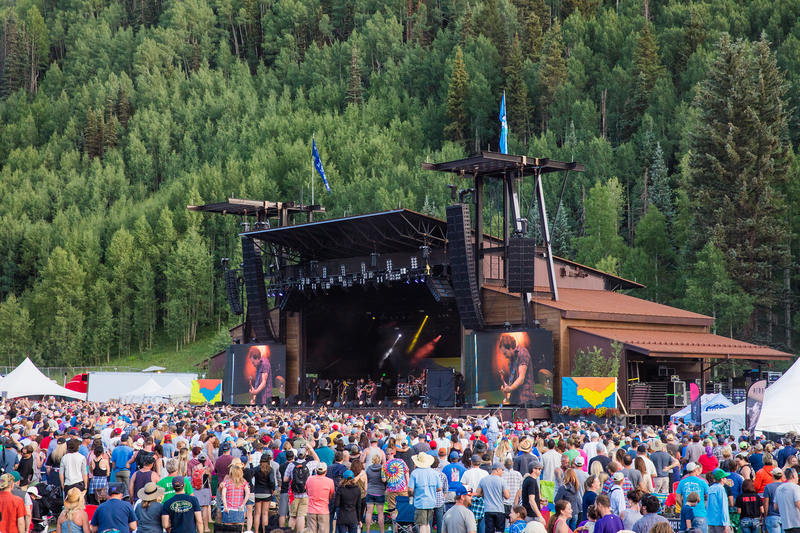 After the execution of the pool facility and bleachers, the Town and festival producers where ready in 2015 for the long overdue Stage upgrades. 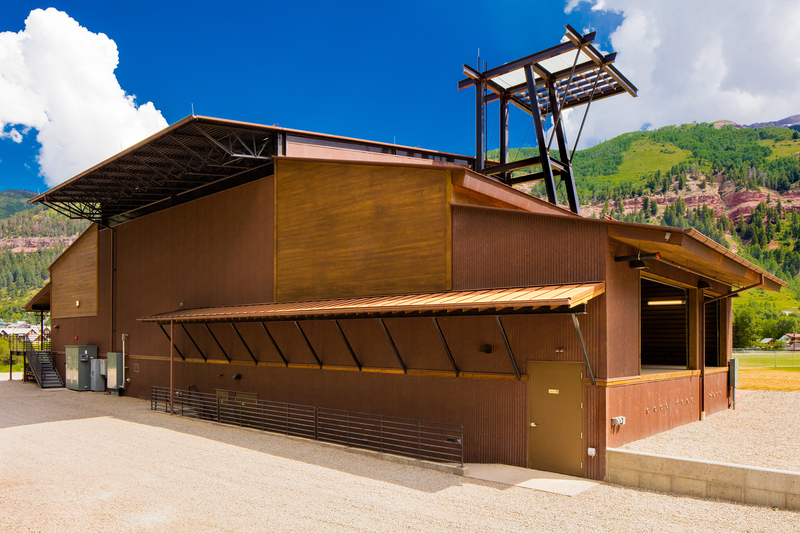 The event Pavilion will be a phase II of the current project, which the team took to a design development level, incorporating the architectural language seen in the Stage. 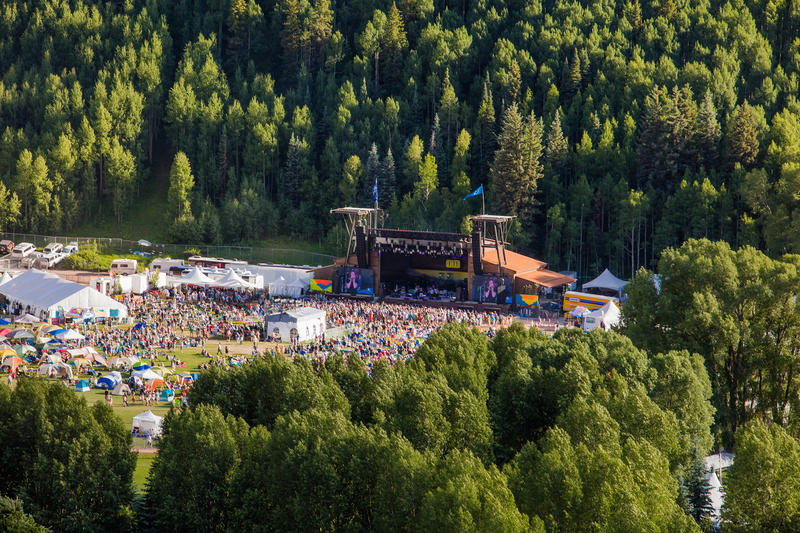 The Stage design addresses the growing scale of festivals, their program needs, necessary code and accessibility upgrades, incorporates current performance venue standards, and includes an expansion to a lower level encompassing production spaces, performers lounge, green rooms, restrooms, and storage and equipment staging areas. 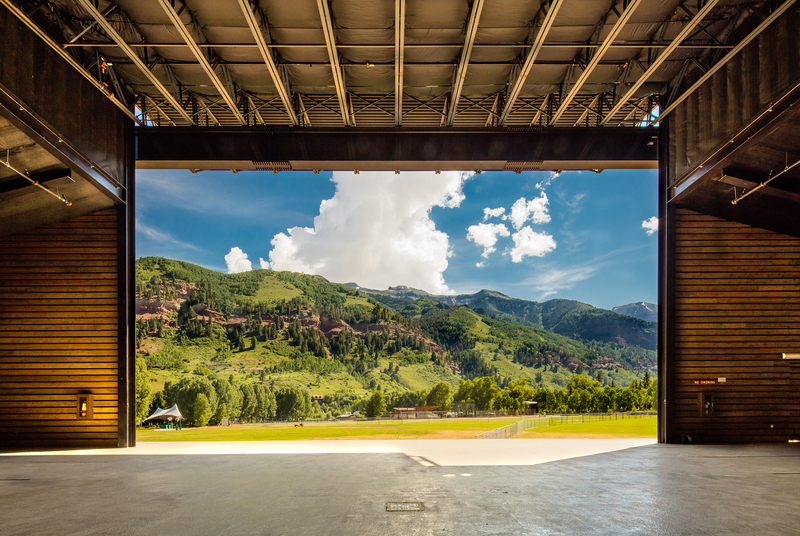 Also addressed was an increase in the back stage site efficiency, an upgraded loading area and high capacity handicap and equipment lift. 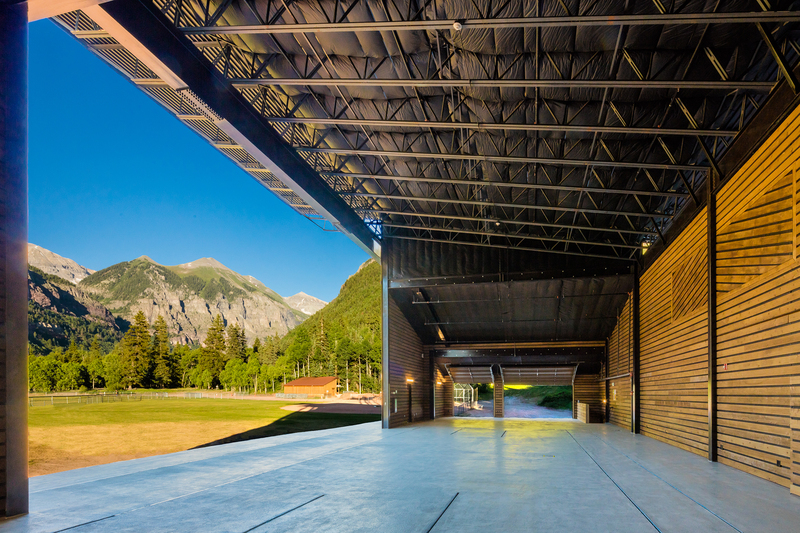 While the festival needs required a larger scale and expanded footprint, the approach to the massing and materials are sensitively informed by the 1994 structure. 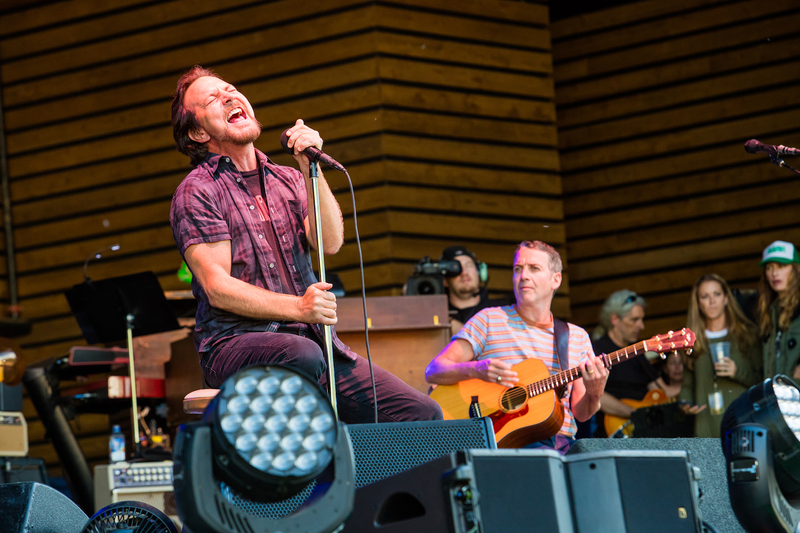 This sensitivity led to retaining and reuse of the existing wood siding, part of which included siding from the original 1975 stage. 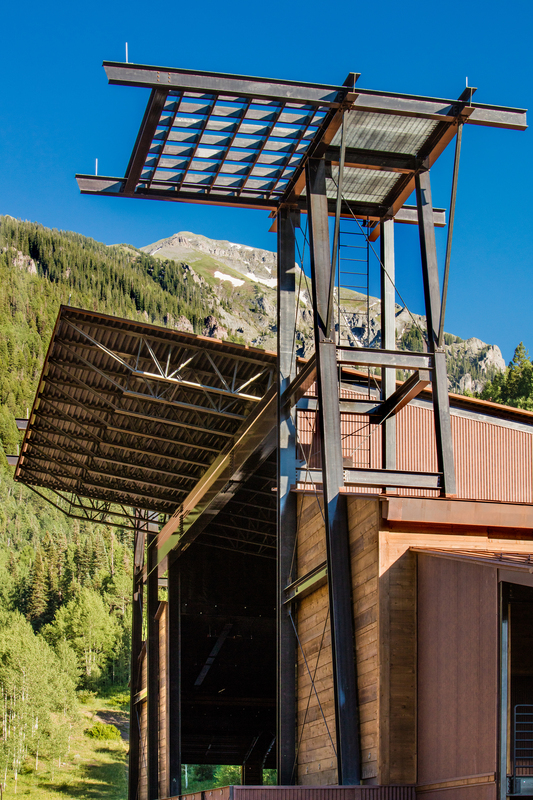 Natural corrugated metal siding and metal clad shed roofs further tie the Stage to the past and larger context of Telluride. 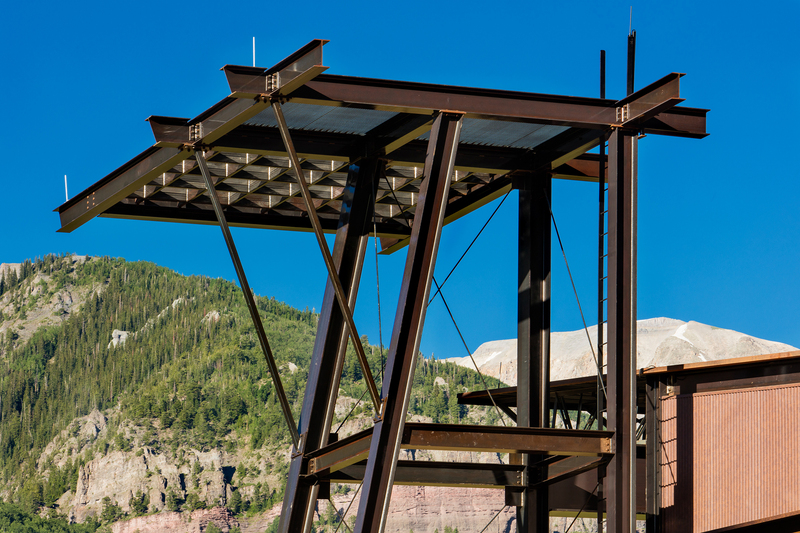 The design also developed to include a dramatic yet necessary addition of speaker towers, which now enables producers to accurately focus and increase the audio performance, and eliminate the prior need for temporary scaffolding. 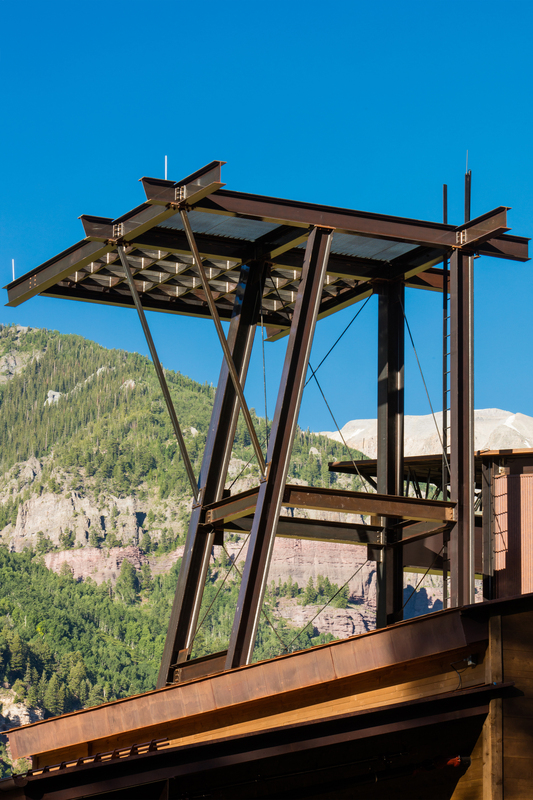 The tower design references the mining vernacular and provides an iconic yet fitting solution. 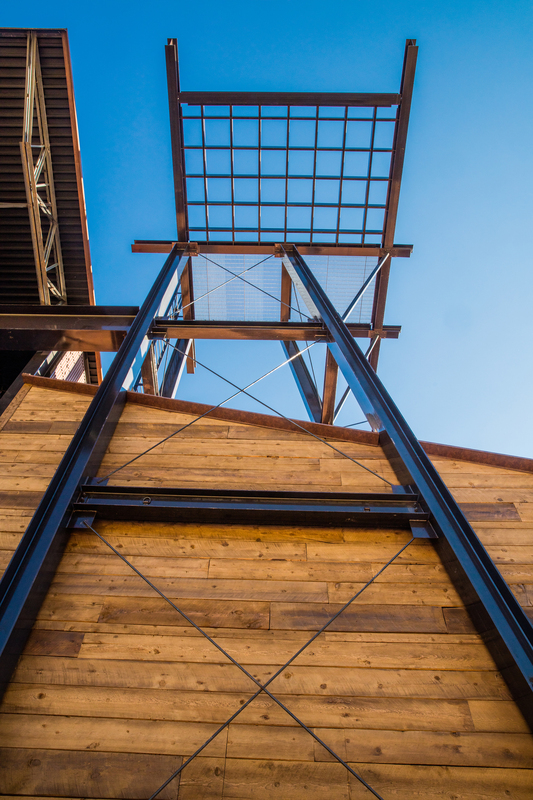 The design, sensitivity informed by the past, creates a modern venue for years to come.